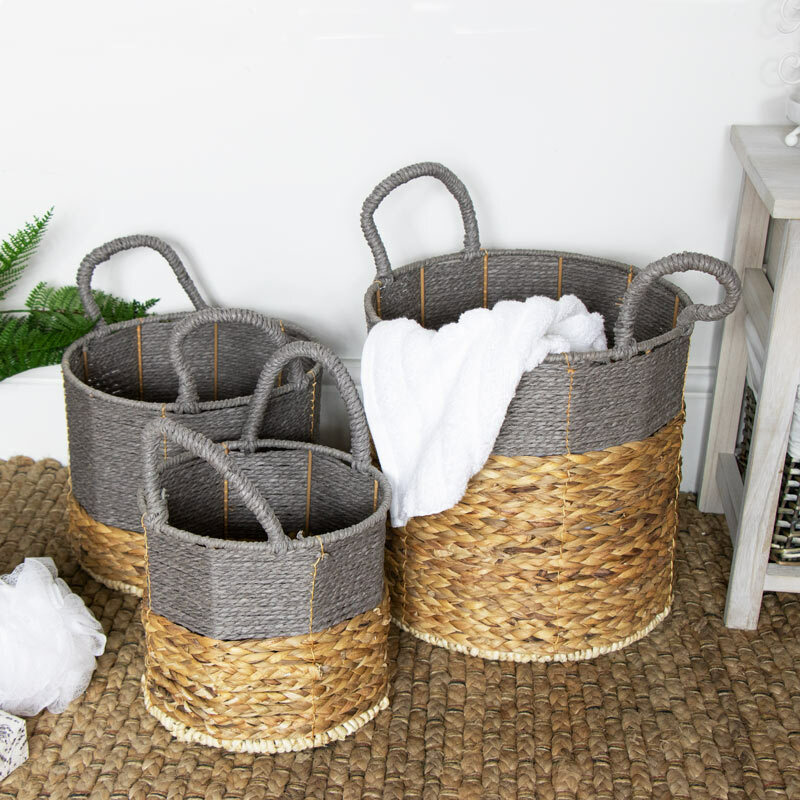 This set of 3 wicker storage baskets make an excellent storage solution for your home. In grey and natural wicker with carry handles. This set of baskets have so many purposes from holding laundry, a winter log basket, books, magazines or just those little bits and pieces. Wonderfully popular Scandi style that will easily suit most interiors. Three assorted sizes with carry handles on each making these easy to carry from room to room. 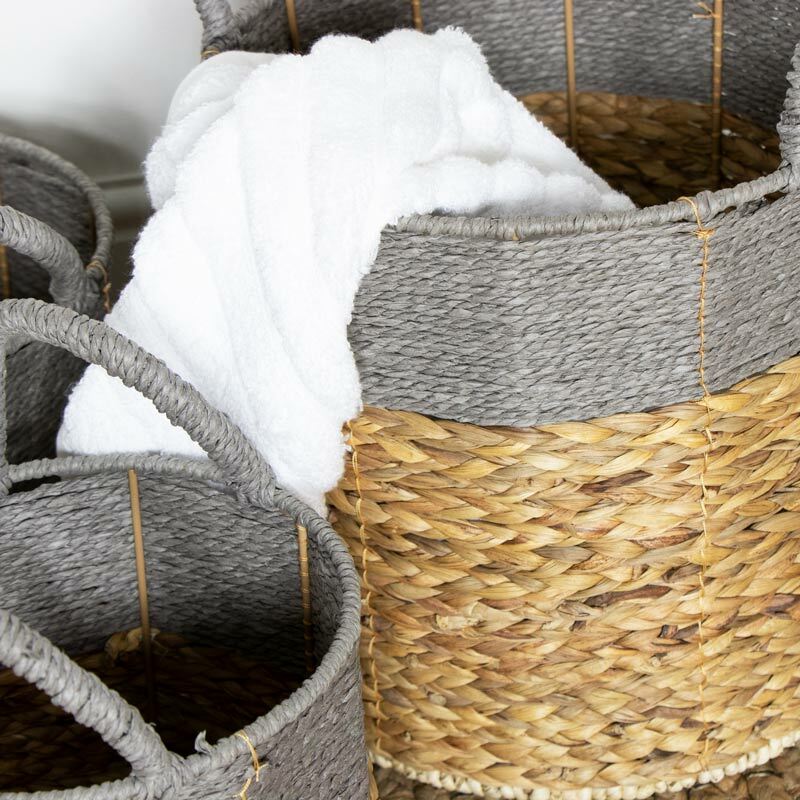 This set of 3 wicker storage baskets make an excellent storage solution for your home. In grey and natural wicker with carry handles. This set of baskets have so many purposes from holding laundry, a winter log basket, books, magazines or just those little bits and pieces. Wonderfully popular Scandi style that will easily suit most interiors. Three assorted sizes with carry handles on each making these easy to carry from room to room. 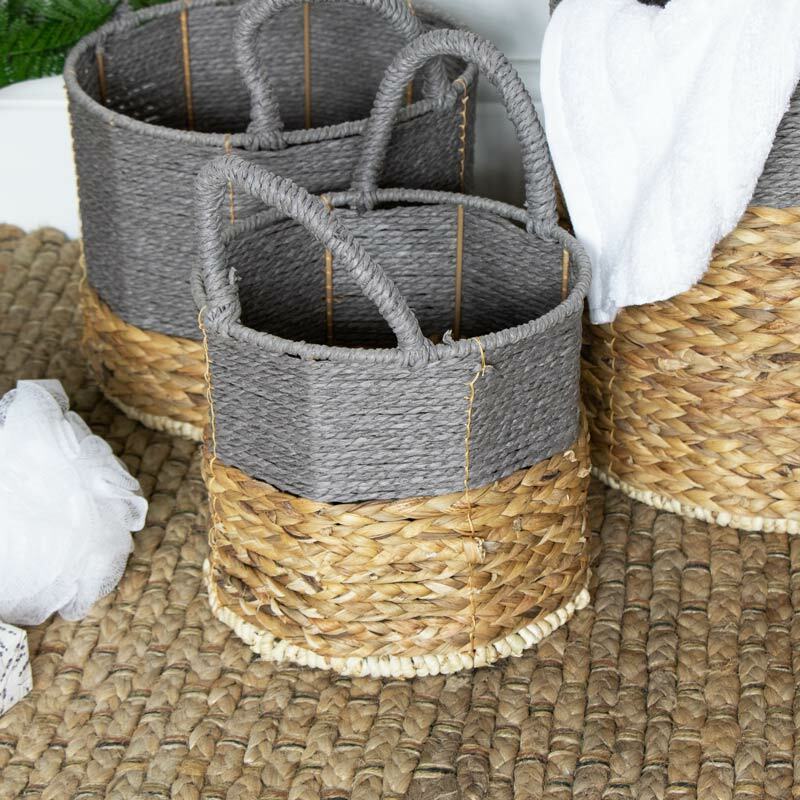 Made from wicker in a natural and grey finish. Each basket comes with carry handles and metal rods inside the baskets to keep them upright and sturdy.